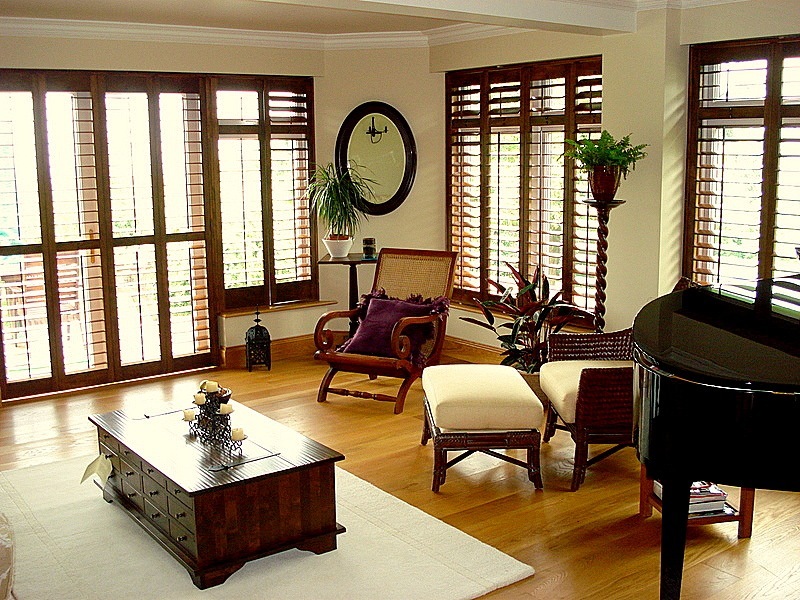 This lovely open plan living space in a home near Bristol has walnut plantation shutters installed. 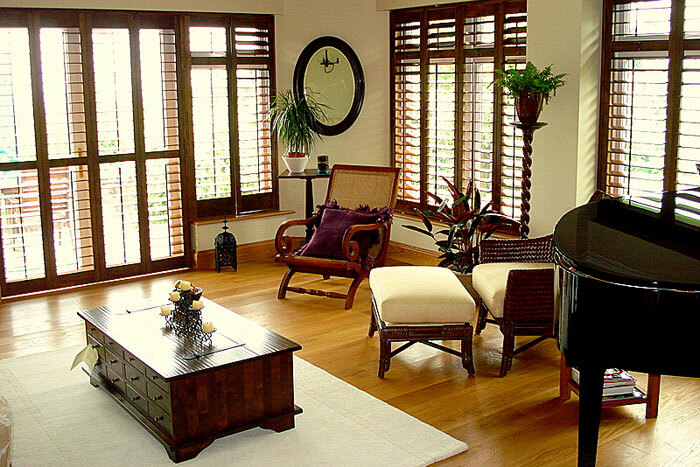 The rich dark wood stain applied to the plantation shutters contrasts really nicely with the light wooden floors. Plantation shutters are commonly ordered in a white painted finish but you have a wide selection of fantastic wood stains that you can select. This customer was advised by us to select a wood stain for their shutters that would contrast with the floor colour. Contrasting the tones, as shown here, can work very well indeed.